20160 Orange Tree Ln, Estero, FL.| MLS# 218066658 | Southwest Florida Residential Real Estate for Sale. Well maintained PET-FRIENDLY home with 1 bedroom, 2 bathrooms, spacious living area and storage shed behind home for extra storage. 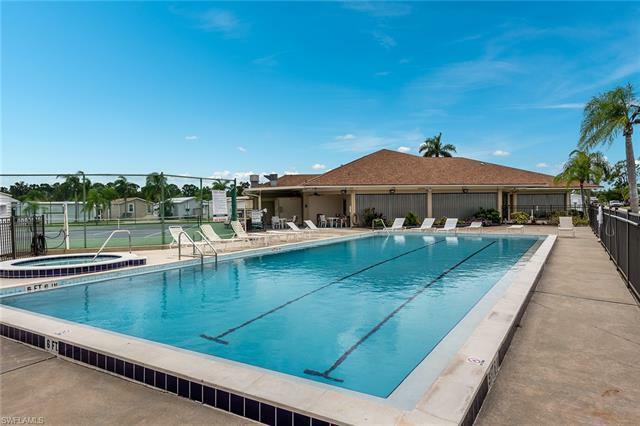 This fabulous 55+ community with LOW FEES and loaded with social activities to include, bocce ball, tennis, pool, and horseshoes. Located on the edge of community with tranquil preserve setting behind home. Great location being minutes away from shopping, dining, airport, and beautiful Gulf beaches.